I realize that I haven't said much, in these virtual pages, about my love of essential oils, but suffice it to say, I have had this penchant for many years. I periodically add a few drops to body products, or apply a drop to my wrists, but my all-time favorite use is adding them to my diffuser to create the most inviting and relaxing physical environment in my home. When applying essential oils to the skin, and to body products, one ought to be mindful of the fact that many have medicinal effects, and should be handled with great care and caution. Therefore, seeking advice from a specialist, and learning about the specific properties, and effects, of each of the essential oils that you are considering is of paramount importance. They are also very concentrated and should be used very sparingly, and they can cause serious skin irritations when used improperly. While each essential oil has a whole host of aromatherapeutic properties and attributes, I tend to choose them based upon a more visceral reaction to the aromas themselves– particularly since I primarily use them in a diffuser, rather than on the skin, to create an aromatic experience in my house. Also because we live with animals, I use essential oils in a diffuser to deodorize the house. My most recent discovery for high quality essential oils is Aroma Foundry, and they do not disappoint! Aroma Foundry sells a line of 100% pure, and all natural, essential oils. Each of their essential oils have been sourced from, "native locales around the globe known for their purity for that oil." They assert that their team carefully selects "the best representation of the essence of each plant"– and therefore brings the highest quality essential oils to the consumer. I also have a great love of small pretty boxes and containers in which to store makeup and skincare, and prefer to look at beautiful things that follow the tenet of form following function. 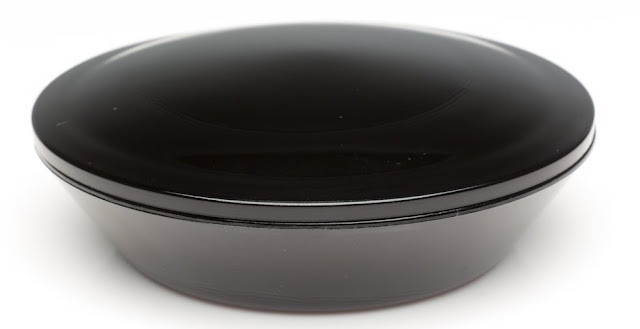 When I sought to take pictures of the Aroma Foundry essential oils, I looked at my beautiful Infinity Covered Glass Dish, and decided that it would be the perfect home for my new essential oils. Infinity Jars makes high quality, high performance storage containers that can be used for "cooking ingredients, dried herbs, bitters, tea, coffee, cosmetics, nuts, oils, etc." They feature highly effective, "airtight and light optimized" containers that protect the contents from air and light, and therefore they extend the shelf-life of the products that they store. Aroma Foundry Ylang Ylang Oil, from Madagascar, (Regularly $22.98. On Sale for $11.98 for .5 fl oz from Aroma Foundry and Aroma Foundry Amazon Store): I love using Ylang Ylang on my wrists, and in my diffuser before I fall asleep because it has a tremendous calming and relaxing effect. Its unique earthy, quasi-floral aroma is one that I find utterly hypnotic. Sourced from a country where Ylang Ylang is so popular that it's even eaten in ice cream, our Madagascar ylang ylang essential oil is 100% Pure, All Natural, and so good that they named it twice. You'll reach for it again and again once you get a whiff of its delicate, jasmine-like sweet floral scent. Aroma Foundry Lavender Essential Oil, from the USA, (Regularly $17.98. On Sale for $9.98 from Aroma Foundry and Aroma Foundry Amazon Store): This is one of the most lovely lavender essential oils that I have ever tried. In fact, its silky smooth aroma retains all of the finest qualities associated with high quality lavender, while having none of the pungency that some of the lower quality oils feature. I feel as though I am standing in a lavender field each time I smell this lovely oil. Our Best Selling Essential Oil, Lavender is one of the most useful, unique, and popular essential oils. We get ours in the United States; when you catch a whiff it'll recall lavender flowers you walk by in a planter or garden. Steam distilled from the violet blue flowers, ours is 100% Pure and All Natural. We should add that it is also 100% made from lavender oil; many sellers dilute it and still claim it to be lavender. Aroma Foundry Bergamot Essential Oil, from the Netherlands, (Regularly $20.98. On Sale for $11.48 from Aroma Foundry and Aroma Foundry Amazon Store): This delectable, mood-enhancing, citrus is one of my all-time favorite essential oils to use in my diffuser. It makes the house smell glorious, it elevates the mood of everyone in the house, and its refreshing aroma is very refreshing. Bergamot blossoms during the winter, but its powerful spicy lemony aroma is enjoyable during any season. Diffuse our emerald-green 100% pure and all natural Netherlands Bergamot Essential Oil in your home to promote a warm and soothing sedation to your body. Aroma Foundry Mandarin Essential Oil, from Italy, (Regularly $19.98. On Sale for $10.98 from Aroma Foundry and Aroma Foundry Amazon Store): This delicious smelling citrus has a slightly spicy aroma that effectively deodorizes my house and fills the air with the most beautifully refreshing citrus aroma. We're excited to offer 100% Pure and All Natural Italian Mandarin Oil, because Italy's mandarin is the most well-respected on Earth by aromatherapy, cosmetic, and flavoring experts. Infinity Jars 100 ML Glass Covered Dish with Glass Lid (Regularly $69.00. On Sale for $49.00 from Infinity Jars and Infinity Jars Amazon Store): From the first moment that I saw this covered dish, I knew that I had to have it! It is the perfect size to house a beautiful bar of soap, loose setting powders, jewelry, herbs and anything else that you want to store in a beautiful and elegant minimalist container. It boasts a high quality glass construction with a snug fitting lid, that creates an airtight seal, and light-blocking opaque UV glass that helps to preserve the contents of the vessel. We are proud to present our most unique product yet, the 100 ml (3.38 fl oz) All Glass Covered Dish! Dishes like this are rare but are so useful! This dish is the perfect size for 'pinchable' spices in the kitchen, a dish for the handmade soap for the bathroom and a place to charge medicinal herbs for your morning ritual. The dish comes with an all ultraviolet glass lid, ground specially to create an airtight seal once placed on the top of the dish. This stops all your delicious aroma or potency from escaping and keeps damaging oxygen out. In addition, the UV glass itself increases preservation by selectively allowing in healing and energizing infrared and UVA light and completely blocking all visible light that accelerates the rate of decay on organic matter. Height: 1.1"/ Diameter of Bowl : 4.8"/ Diameter of Opening: 4.8"
Overall Assessment: If you are seeking a source for high quality essential oils or high quality glass storage solutions, then I definitely recommend taking a closer look at Aroma Foundry Essential Oils and Infinity Jars. I am so happy with their products that I am already studying their websites to see what I want to try next! The Bergamot sounds like a fragrance I'd like. These would help clear the air of pet smells too. Yes, I think that you would really like it, and it definitely helps with pet odors!!!! I've been wanting to get into essential oils more, as I have a few but don't use them for much (other than peppermint to keep raccoons out of the garbage! )I'll have to remember this brand.